Black Widow‘s director shortlist may be a little longer than we initially thought. Much longer, in fact. Justin Kroll of Variety brings word today that more than 65 directors (!) have held talks with Marvel Studios over the potential gig, which, if nothing else, tells us the Powers That Be are being very, very thorough when it comes to choosing the perfect candidate. Of the alleged shortlist, we understand Deniz Gamze Erguven (Mustang), Chloe Zhao (The Rider) and Amma Asante (A United Kingdom) have all come into contention, before Marvel swung its doors open to Maggie Betts (Novitiate) and Angela Robinson (Herbie: Fully Loaded) during negotiations. Alas, Kroll doesn’t allude to the other 60-odd filmmakers who have supposedly met with the studio for Black Widow, nor does he give any indication about a possible announcement. Still, this is a tantalizing status report for a standalone MCU project that has clearly been placed on the fast-track over at Marvel. It currently has Jac Schaeffer on script duties and is said to be targeting a release in 2020, where it will presumably join Guardians of the Galaxy Vol. 3 and a third, as-yet-unrevealed Phase 4 film. Word is Sebastian Stan’s Winter Soldier may feature in the final film, too, as it’s purportedly being pitched as a possible prequel set immediately after the fallout of the Cold War. Add to this a potential cameo from Jeremy Renner’s elusive Hawkeye and Marvel’s Black Widow spinoff has all the makings of a bona fide hit. The next port of call will be to nail down a director, of course, and at least based on Justin Kroll’s latest intel, the likes of Kevin Feige and Co. still have their work cut out for them. 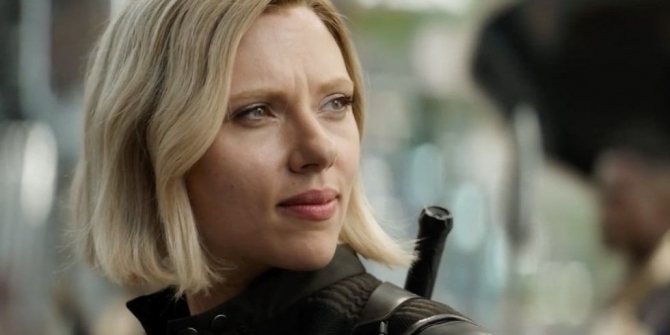 Whatever the outcome, Black Widow is poised to follow in the footsteps of Captain Marvel as the studio’s second female-led feature. And we couldn’t be more excited.